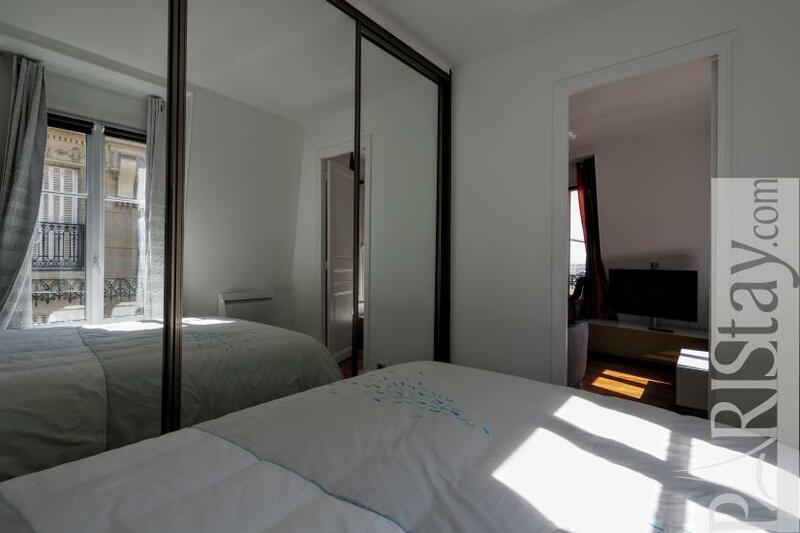 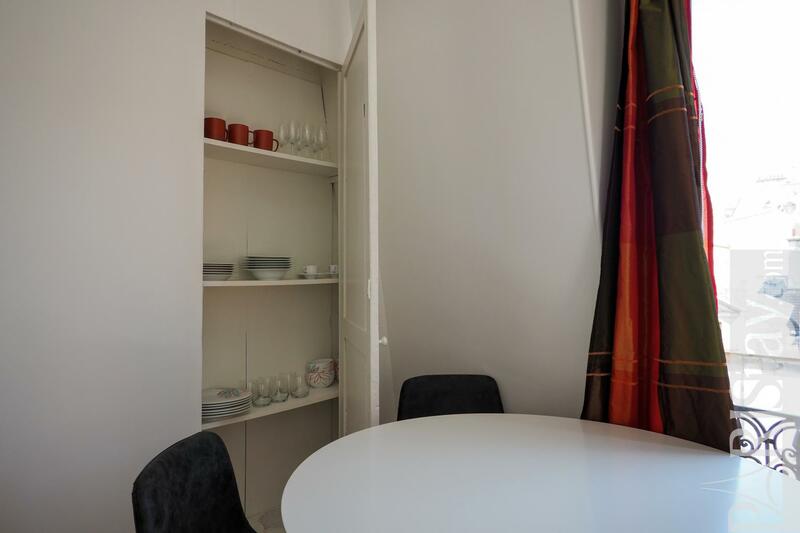 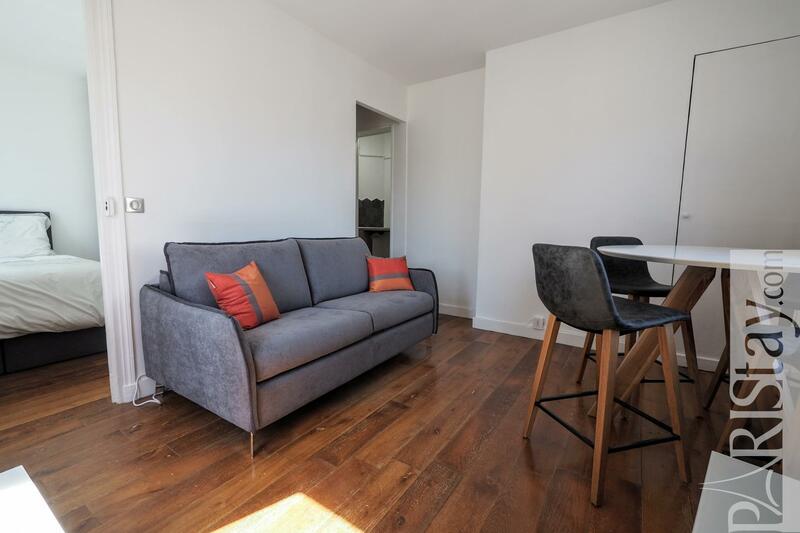 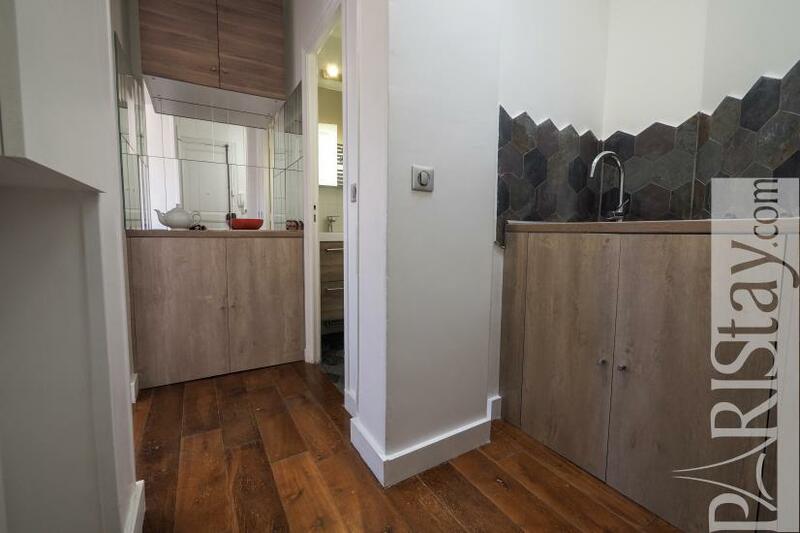 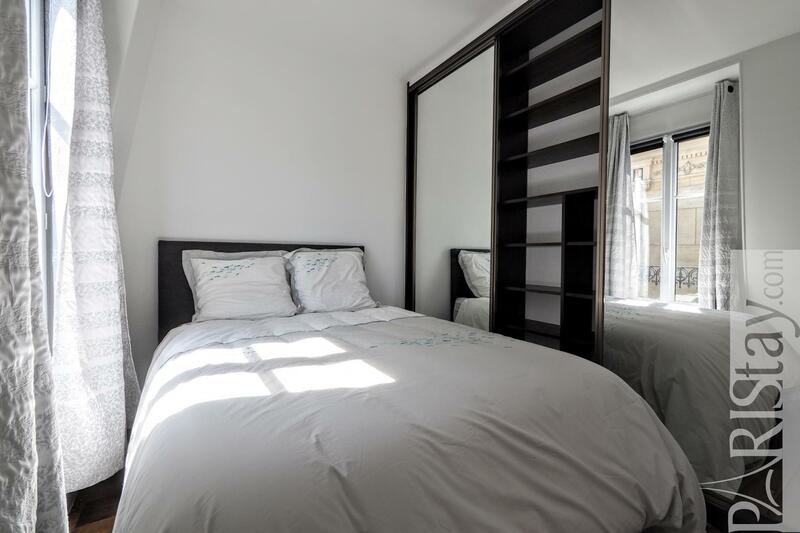 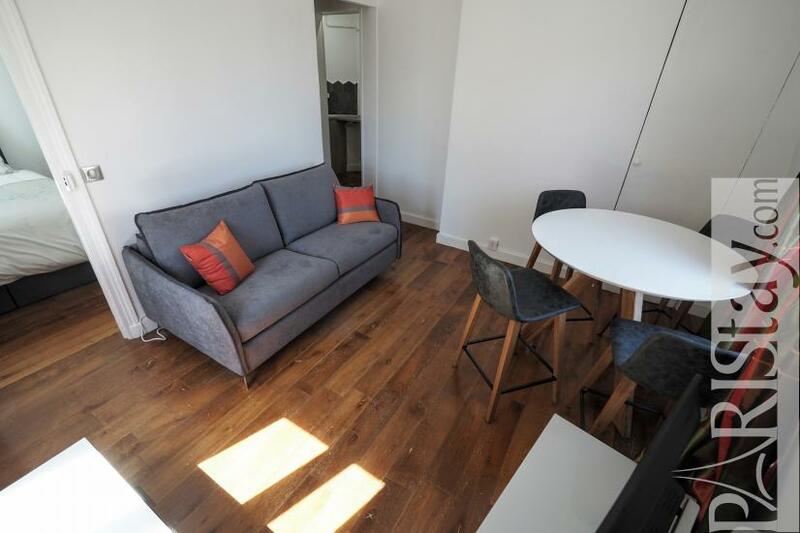 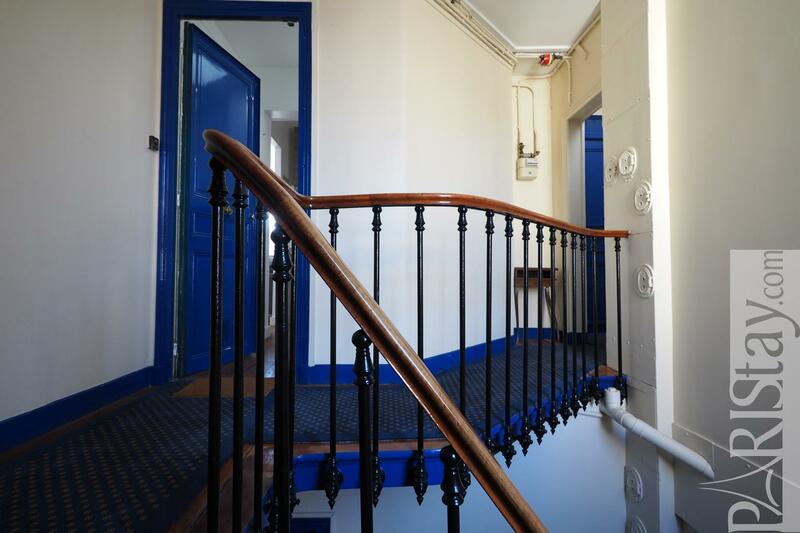 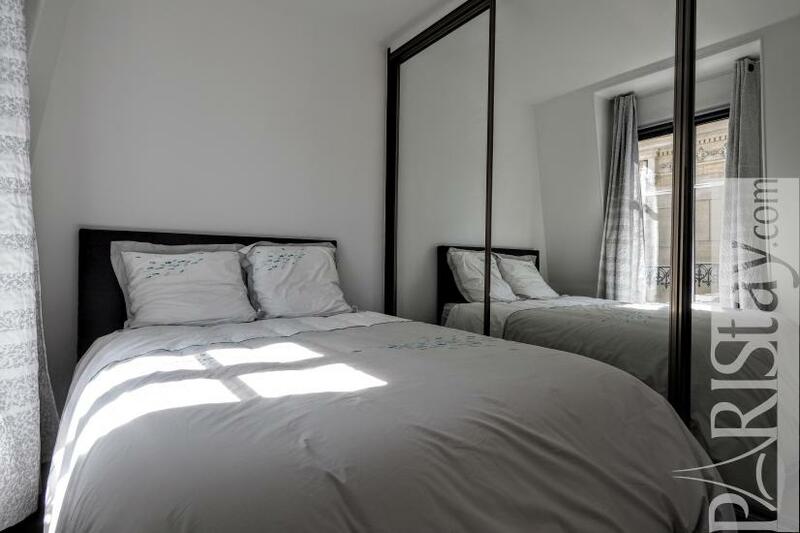 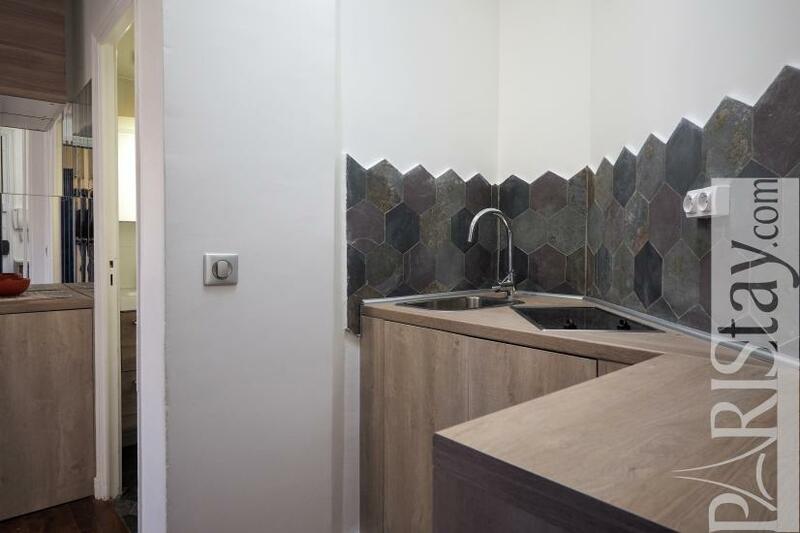 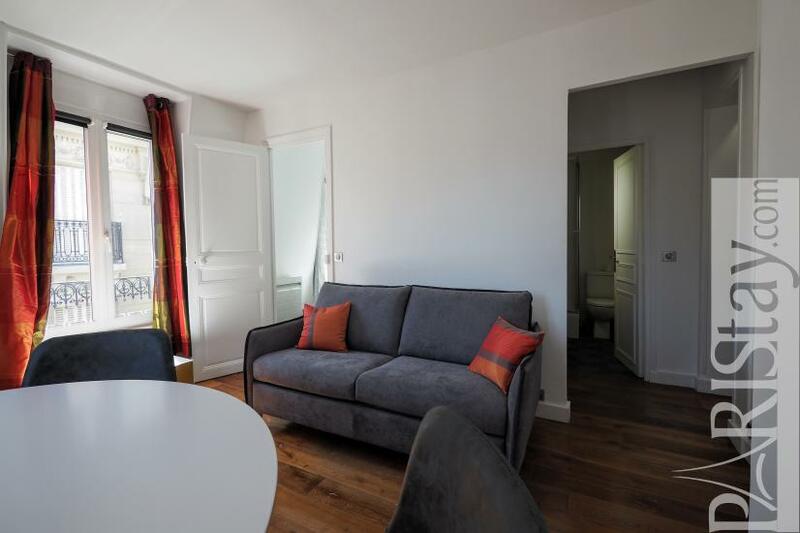 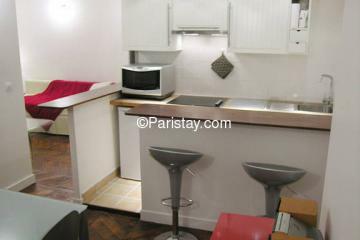 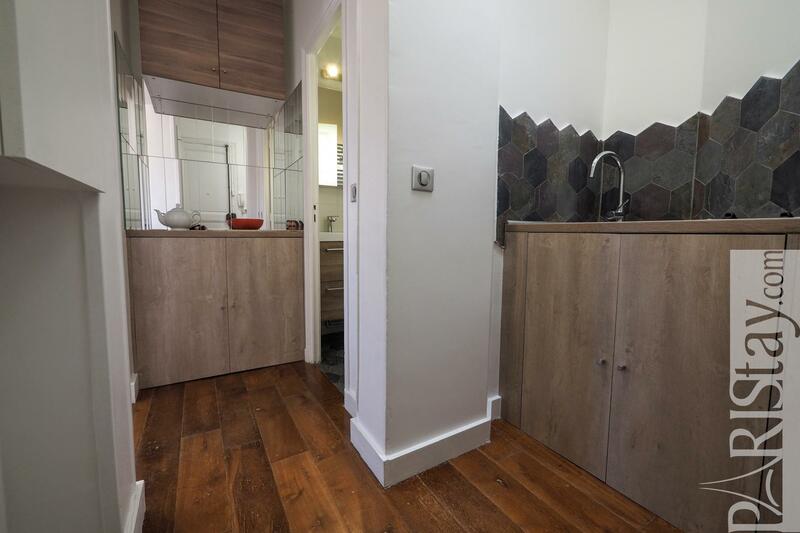 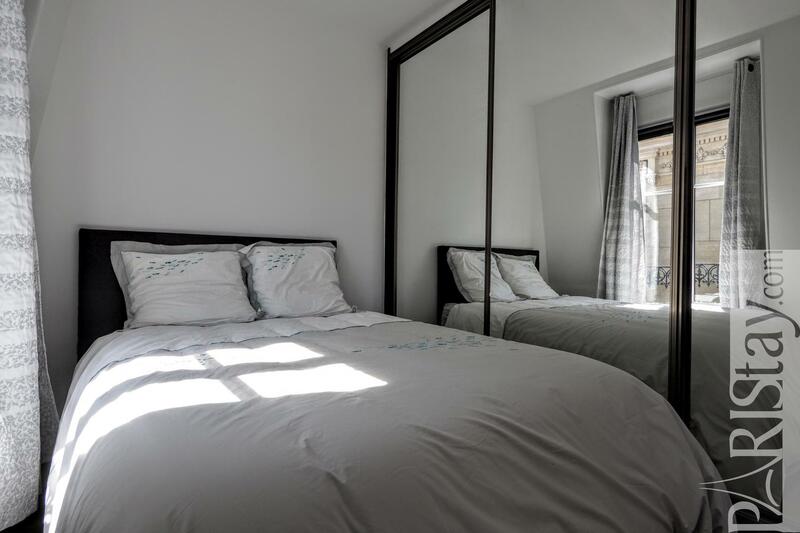 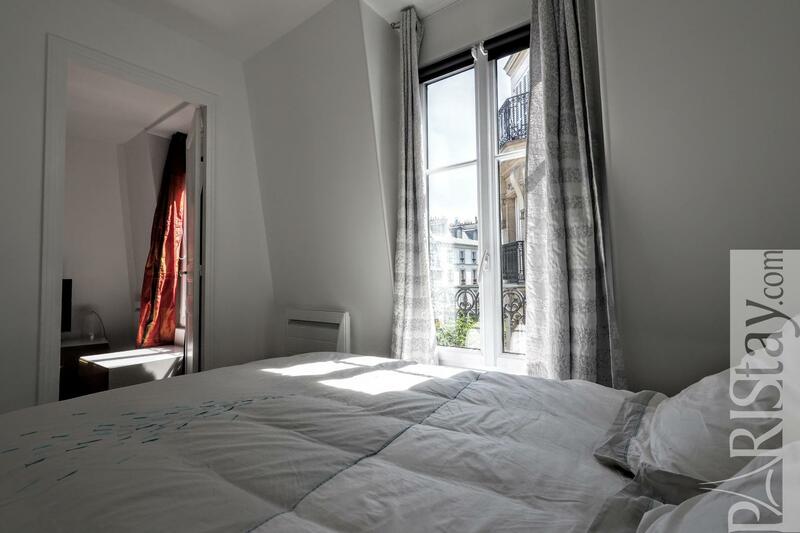 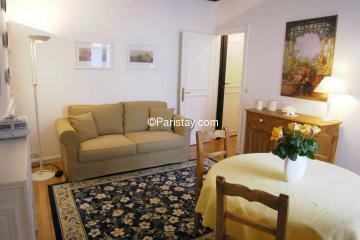 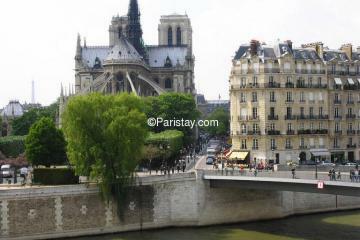 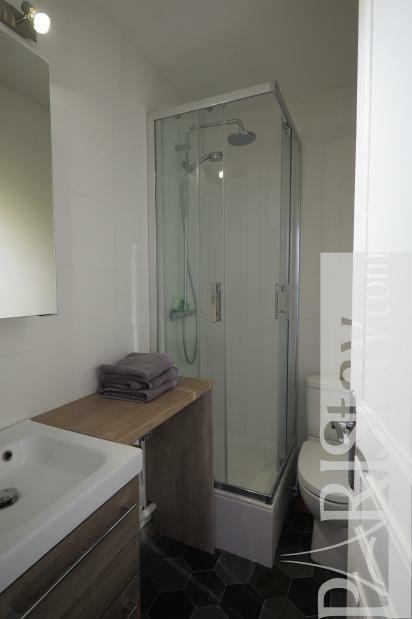 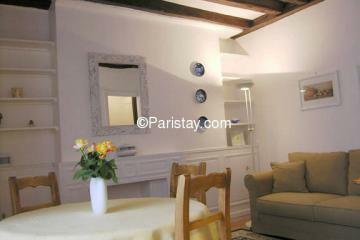 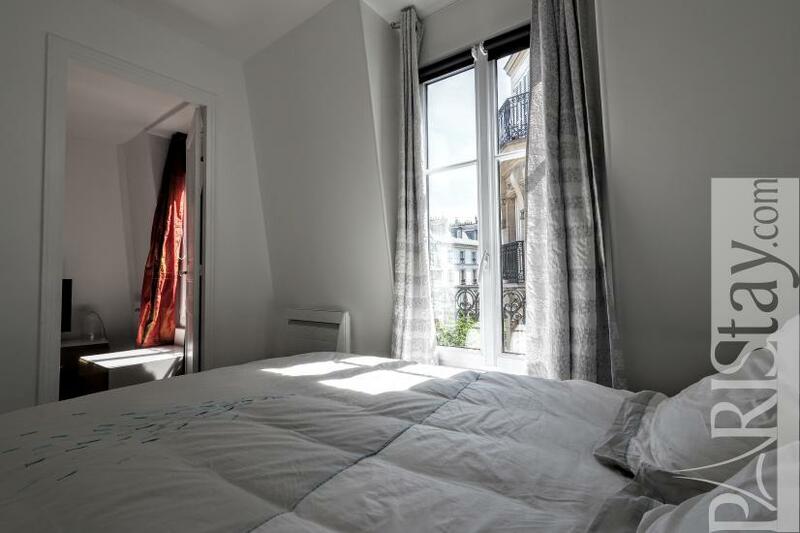 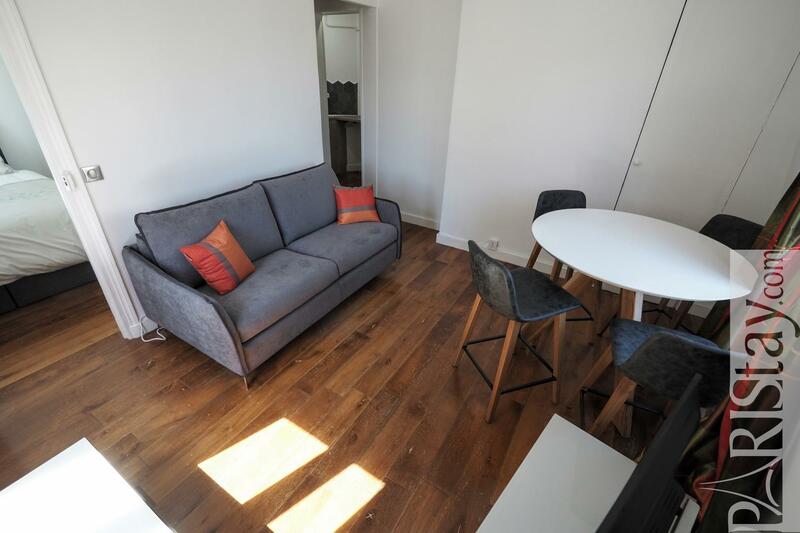 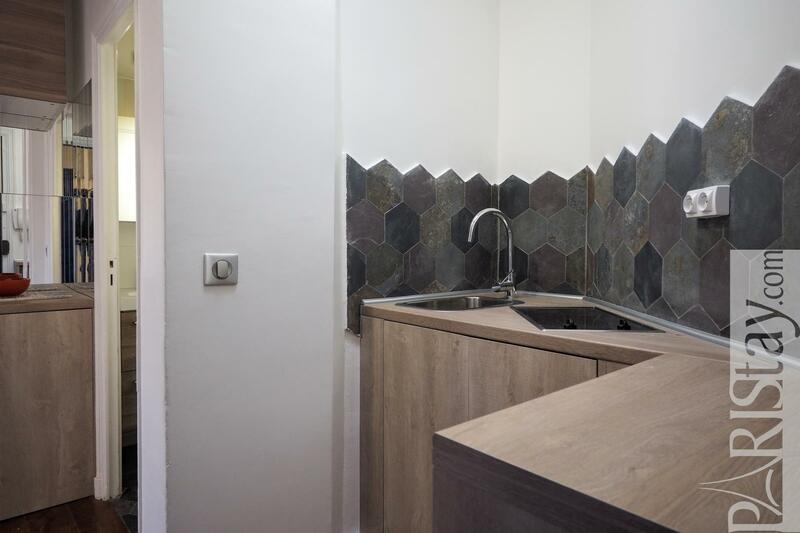 Adorable Paris one bedroom apartment for rent perfectly located in the heart of the beautiful Le Marais district. 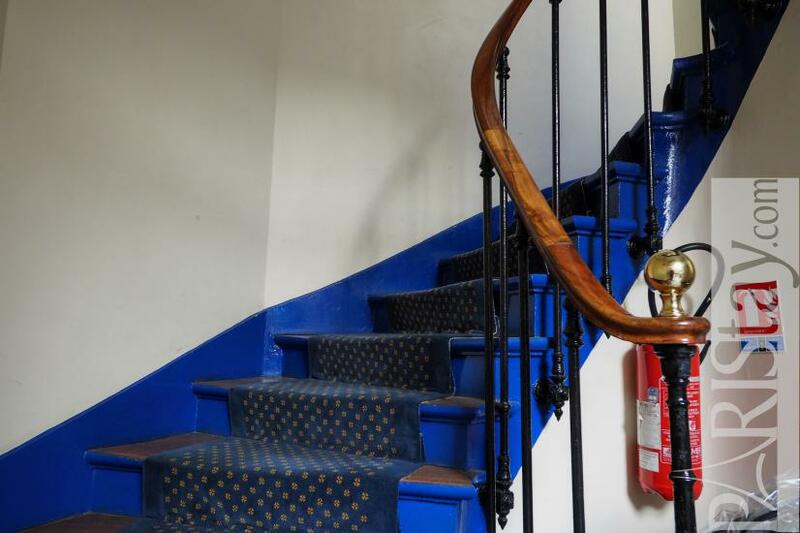 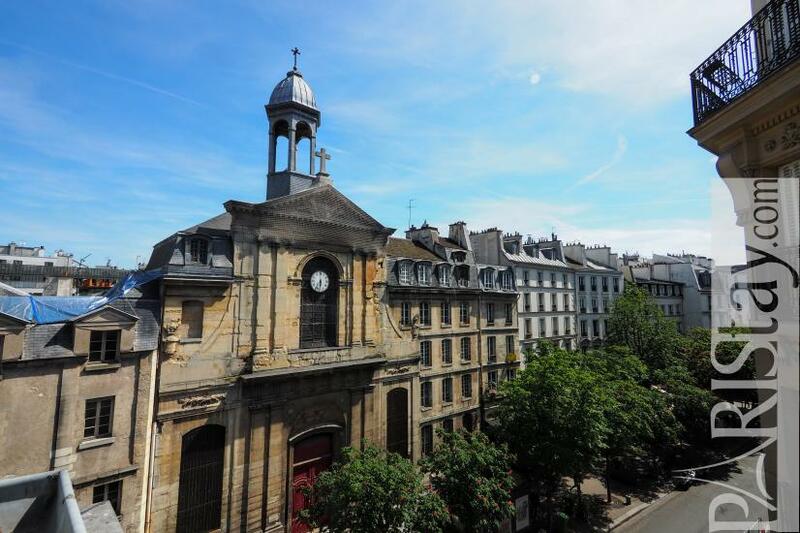 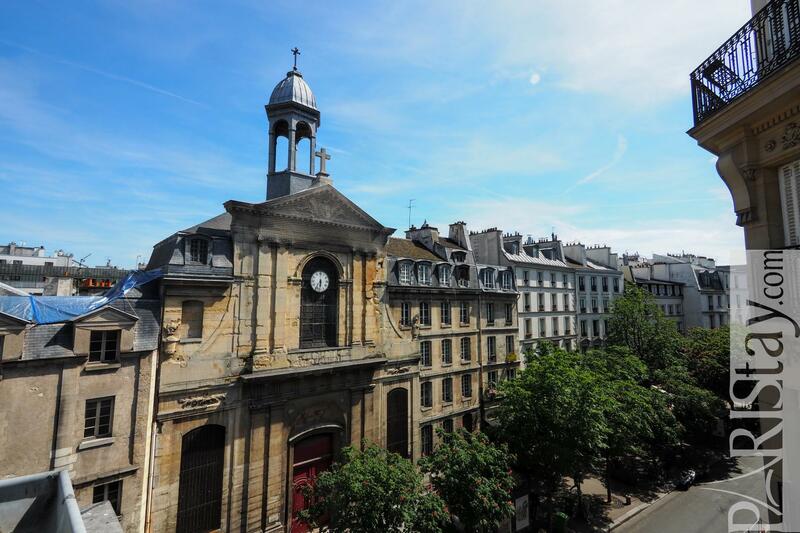 The flat is situated on the 4th floor (no lift but an easy bright staircase) of a residential building, and offers an astonishing view on the Billettes church and the sky. 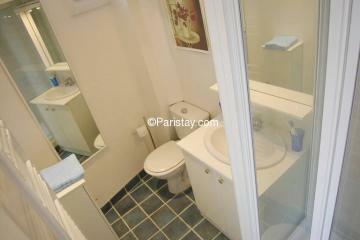 It has been totally renovated and tastefully decorated with quality equipment. 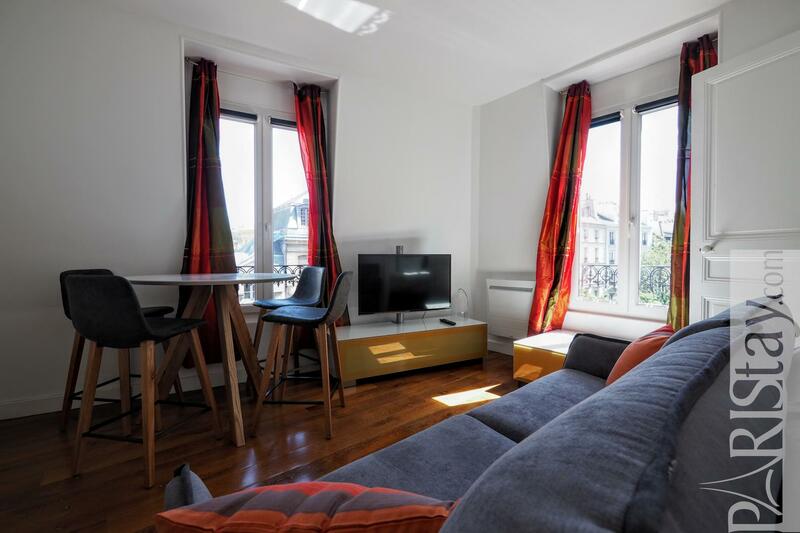 There is a bright living room offering 2 large windows, a comfortable sofa + flat screen TV and a dining table that seats 4 people. Cosy bedroom equipped with a king size bed and a giant cupboard! 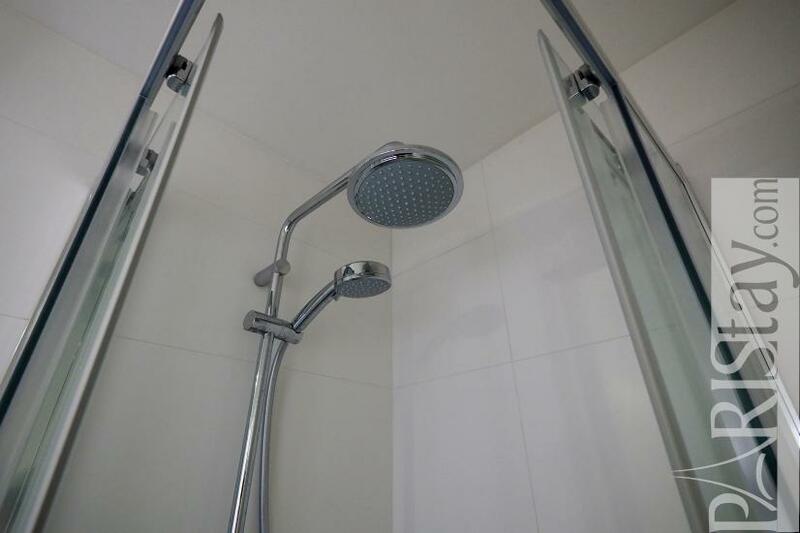 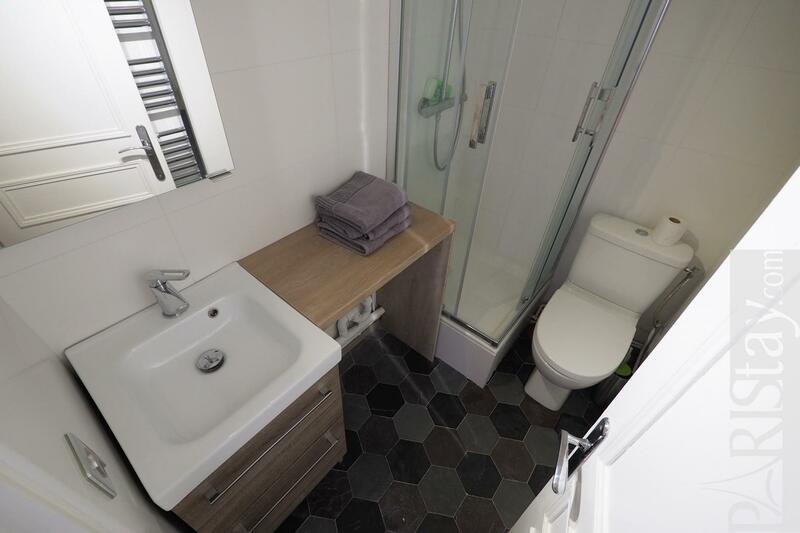 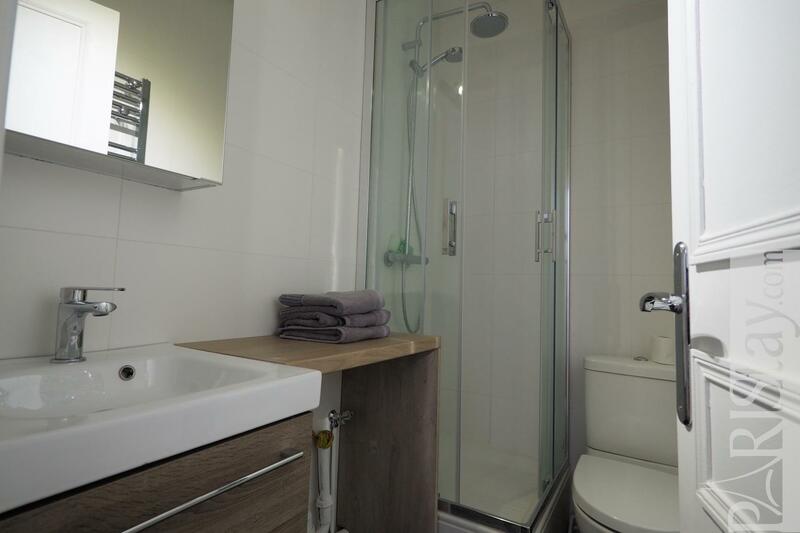 Shower room with toilets. 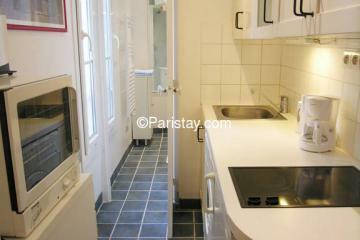 Equipped kitchen in the entrance. 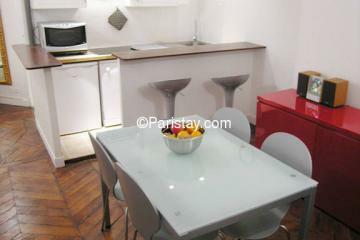 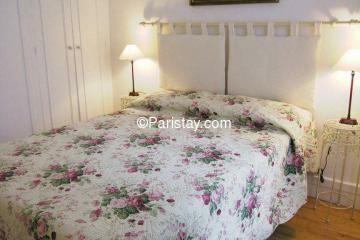 A perfect nest for your next long stay rental in Paris! 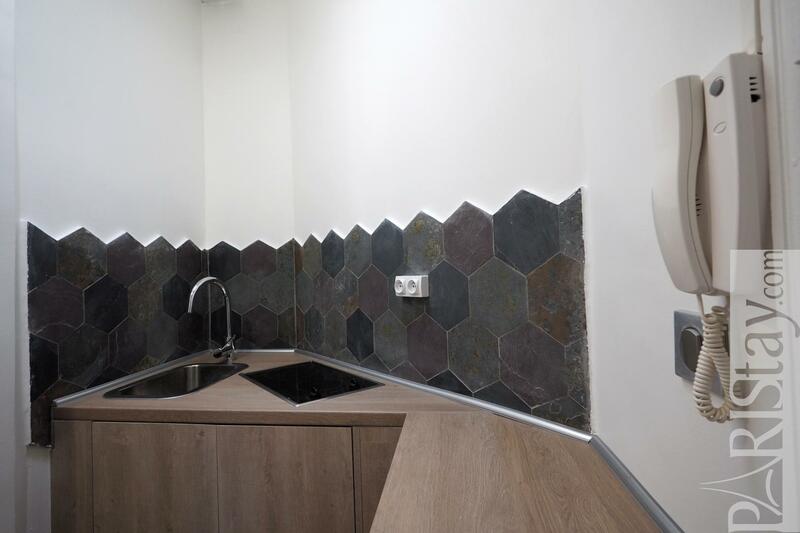 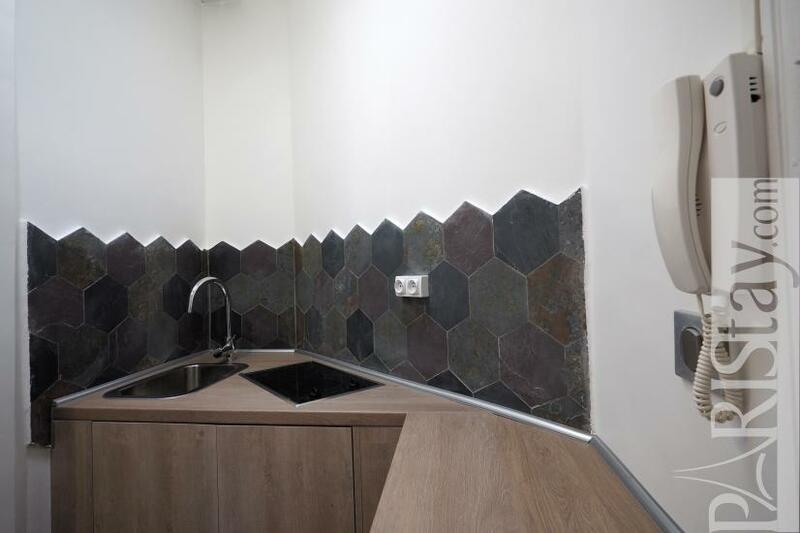 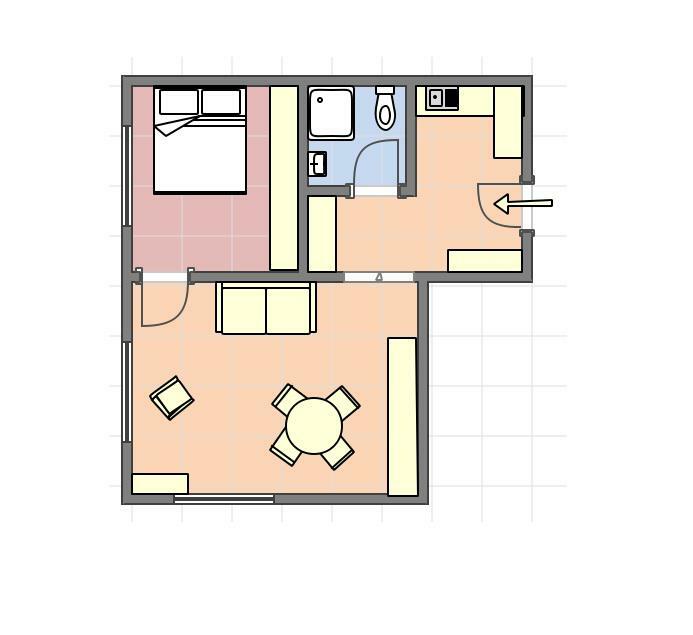 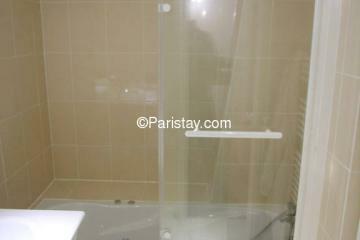 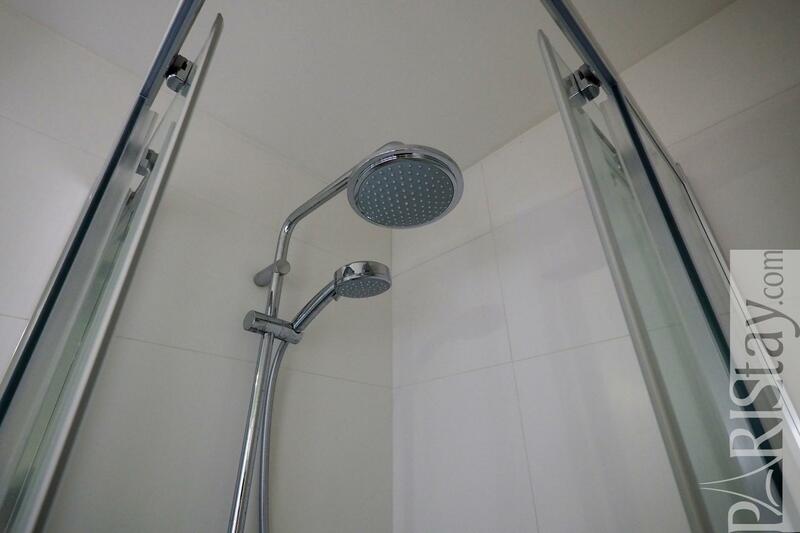 4 rd floor, without Lift, entry code security system, 1 bedroom Appartement, furnished, Approx: 27m² / 290 Sq.Ft.